Welcome to Mt. Hope's online window. We exist to spread the Gospel to our beautiful corner of Northern California. Please look around the website for information about our Camps, Facility, contact info, etc. We don't want to just rent the camp, we want to partner with your ministry to host successful retreats and camps. Mt. Hope is a special place. It has impacted thousands of lives with the Gospel for 65 years. Consider breaking up your everyday life with some time away with God, in His beautiful creation. Book an event or join us at one of ours and experince God's Refuge at Mt. Hope. 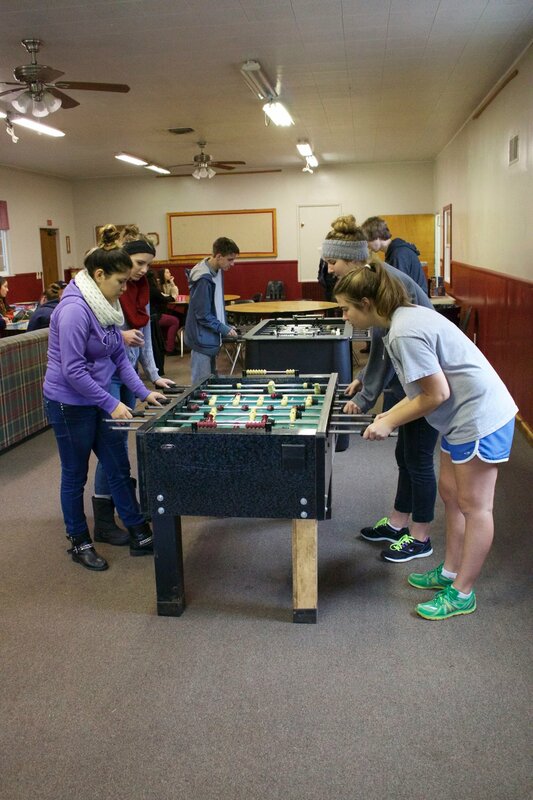 Mt Hope Bible Camp is a full service facility serving churches and organizations in the Northern California area. Whether you need a weekend or a week, we will strive to meet your needs. Our friendly staff will help you with scheduling and meal planning. We want your group to be comfortable during their stay with us. The scriptures of the Old and New testaments, being given by divine inspiration are the words of God, the final and supreme authority in all matters of faith and conduct. In the scriptures, God reveals Himself as the living and true God, creator of all things. Perfect in Love and righteous in all His ways, this One Person exists eternally as a trinity of persons. The Father, the Son and the Holy Spirit. God made man in His own image that He might have fellowship with Him. Being estranged from God by his disobedience, sinful man is incapable of a right relationship with God apart from divine grace. The only mediator between God and man is Jesus Christ our Lord, God’s eternal son; who, as a man, fully shared and fulfilled our humanity in a life of perfect obedience. By His death in our place, Jesus revealed divine love and upheld divine justice, removing our guilt and reconciling us to God. Having risen bodily from the dead and ascending into heaven, He rules as Lord over all and intercedes for us as our great high priest. God, by His word and spirit, calls sinful men into the fellowship of Christ’s body. Thus, he creates the one holy universal and apostolic church. This church of Jesus Christ is united in bonds of love, endowed with the gifts of the spirit and summoned by Christ to preach the gospel, administer the ordinances of baptism and the Lords supper, and relieve human need and to strive for social justice. God’s redemptive purpose will be consummated by the return of Christ to raise the dead, judge all men and establish His glorious kingdom. Those who are apart from Christ shall be eternally separated from God’s presence, but the righteous shall live and reign with Him forever. Mt. Hope's primary aim and purpose is to aid Christian ministries in Northern California by providing, a distraction free environment for guest groups to have fruitful camps and retreats; and to provide Bible centered camps and retreats to bring people into a close relationship with Jesus Christ. Mt. 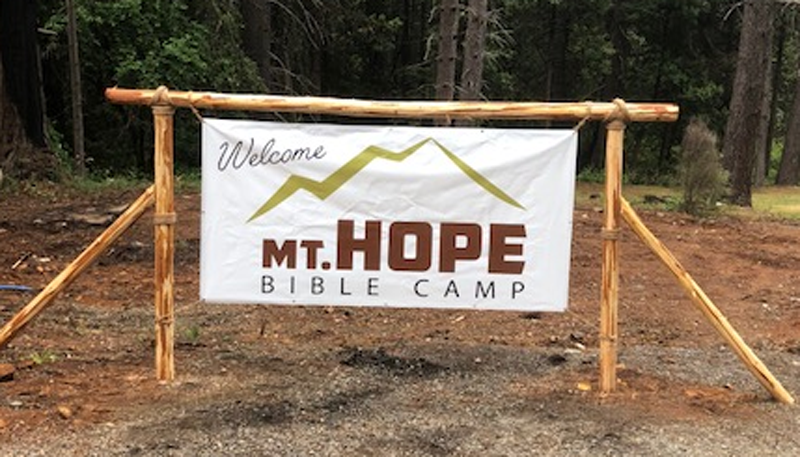 Hope is a Bible Camp where adults, young people and families may meet to study the Bible, grow in the knowledge and grace of the Lord Jesus Christ and encourage others to know and accept Jesus Christ as Lord and Savior.